The hallucinogenic and medicinal effects of peyote have a storied history that begins well before Europeans arrived in the Americas. 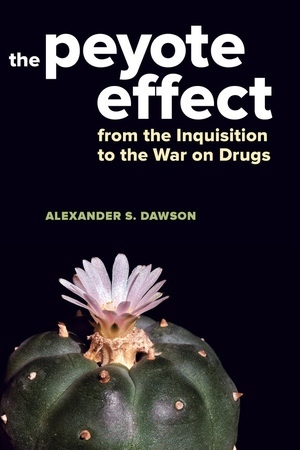 While some have attempted to explain the cultural and religious significance of this cactus and drug, Alexander S. Dawson offers a completely new way of understanding the place of peyote in history. In this provocative new book, Dawson argues that peyote has marked the boundary between the Indian and the West since the Spanish Inquisition outlawed it in 1620. For nearly four centuries ecclesiastical, legal, scientific, and scholarly authorities have tried (unsuccessfully) to police that boundary to ensure that, while indigenous subjects might consume peyote, others could not. Moving back and forth across the U.S.–Mexico border, The Peyote Effect explores how battles over who might enjoy a right to consume peyote have unfolded in both countries, and how these conflicts have produced the racially exclusionary systems that characterizes modern drug regimes. Through this approach we see a surprising history of the racial thinking that binds these two countries more closely than we might otherwise imagine.